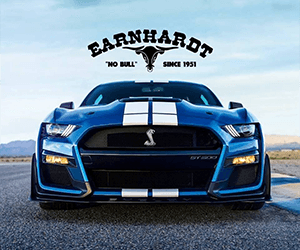 Earnhardt Auto Centers is known throughout the Valley and the Southwest for selling and servicing reliable new and used autos with a “No Bull” approach. Earnhardt charities also gives back to the communities where its employees work and live. 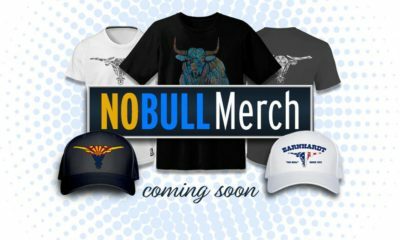 The Earnhardt company donates funds and time to several organizations through “No Bull Charities,” including the Arizona Association for Foster and Adoptive Parents. This group offers support to foster and adoptive families, including collecting and refurbishing gently used bikes to be given to children in foster care. If you have a bike to donate, you can bring it to AZ Helping Hands, 7850 E. Gelding Drive in Scottsdale. During the next big Recycle Your Bicycle collection drive, you’ll also be able to bring bikes to any Earnhardt Auto Centers dealership. This organization can take any size bicycle from trikes to mountain bikes, and different styles including three-wheelers and training bikes. There’s a special need for smaller bikes, 20 inches or less. If you have an extra bicycle, bring it to AZ Helping Hands, or keep an eye out for the next bike collection drive when you could bring it to your local Earnhardt dealership! You’ll receive a receipt for tax purposes, and you’ll need to list the value for your bicycle donation. Donate a bicycle today and bring a smile to the face of a kid in foster care! The Earnhardt Auto Centers organization also donates to many other charitable organizations in Arizona. Earnhardt employees can also choose to participate in a company charity program called H.E.A.R.T. Through this program, employees provide payroll deductions that are collected and given to a different charity each month. Some of the beneficiaries include the Armed Forces Relief Trust, Paz de Cristo, the Arizona Humane Society, Hospice of the Valley, the Phoenix Children’s Hospital Foundation, United Food Bank, and PACC 911, a Phoenix-based animal rescue group. If you need a new or used car, visit any Earnhardt Auto Centers dealership in person or online. When you do business there, you’re also helping the company support local charities!